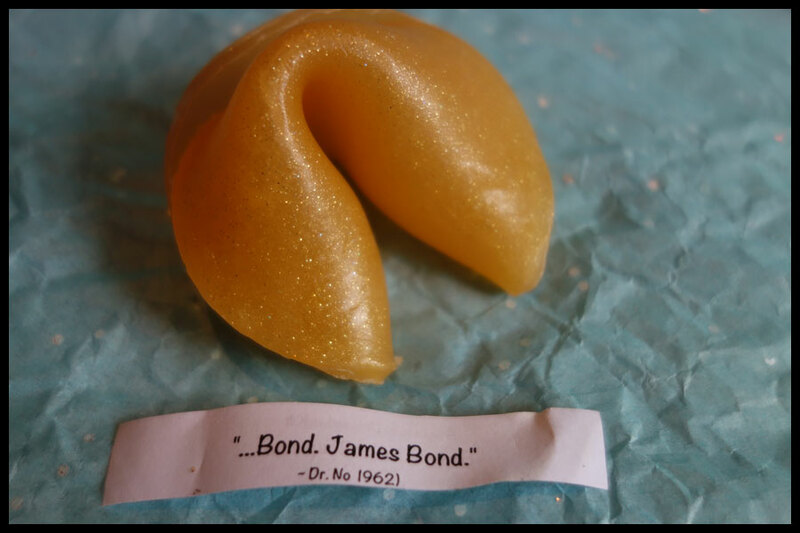 Fortune Cookie Soap are an American company who make bath and body products and their signature product is, you’ve probably guessed it, the fortune cookie shaped soap. 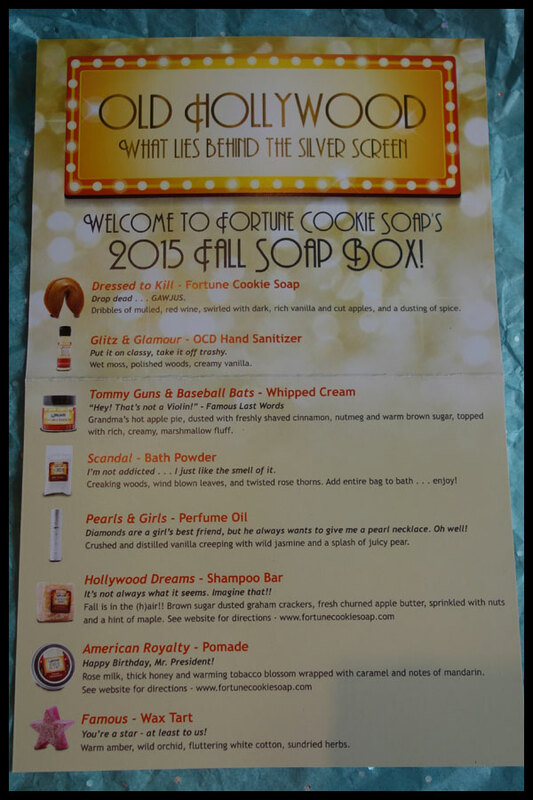 You can subscribe to the Soap Box here, where they send out a small box of samples, with normally two full sized products (a fortune cookie soap and hand sanitizer) in different products that are the scents in the upcoming collection along with a code for $10 off an order which is emailed separately. These are sent out every season so roughly every three months and this one is the Autumn (or Fall if you’re American) collection. They normally have some other theme as well as the season and this time it’s Old Hollywood, which is rather intriguing and I like the idea of the names of these products. This box arrived on Tuesday so I’ve had the time to play around with everything and give them a proper go to review them rather than just first impressions. In the UK we do tend to get them a bit later due to shipping so this is a bit behind some of the American bloggers. The box itself is a plain cardboard box which is very well packaged as I don’t think I’ve ever had anything in these break which is surprising considering they come from America and sometimes they end up here a bit misshapen. There’s a card inside that tells you what everything is and it’s all packed with shredded paper, this time it’s red, and there’s often a little bit of decoration to do with the theme, this time it’s the little plastic pearls which go really well with the glamour of Old Hollywood to me. Dressed to Kill fortune cookie soap is one of the full sized products, these soaps last longer than I’d expect as they’re so thin but work really well with scrubby gloves for a good lather. This scent is meant to be mulled, red wine, dark, rich vanilla, apples and a dusting of spice. This is definitely a nice warm autumn scent and I get the mulled wine with the vanilla that makes it a bit different and sweeter than the general mulled wine scents you get in autumn ranges. I don’t really get any apples but the autumn spices are in there, they sort of go with mulled wine to me really but I guess there are extras. Overall I really nice fall scent with a bit of a twist that makes it different, definitely something I’d go for with products to wash me rather than leave on as it’s fairly strong. Glitz and Glamour OCD hand sanitizer is another full sized product though they do sell these in a larger bottle as well now. It says it’s supposed to smell of wet moss, polished woods and creamy vanilla so I expected it to be an earthy scent. I would say it’s more of a sweet smell than I was expecting, it reminds me of soaps I’ve had in the past that are general herby scents. I guess I can pick up something like polished wood but it’s more like polish than earthy or woodsy as I was expecting. A nice scent for me as a hand sanitizer or maybe a soap but not one I’d like to soak in. If you like earthy tones this might be for you but the vanilla is stronger than I’d want in that sort of scent and after it’s dried off for five or ten minutes it’s mainly vanilla I’m getting. I’m not sure how well the glitter or shimmer picked up in the photo but it’s a nice finish in the hand sanitizer, when I used it there’s a hint of shimmer but it’s not going to make you sparkly, it wasn’t even enough to be picked up on the camera. 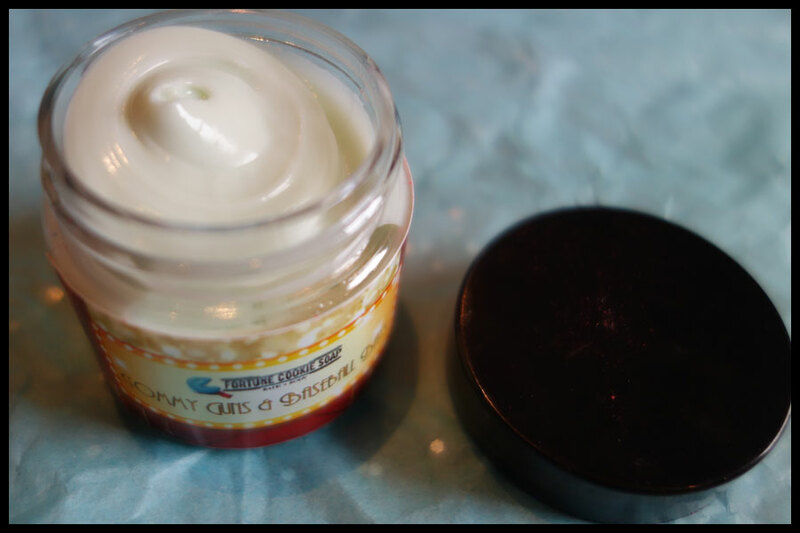 Tommy Guns & Baseball Bats whipped cream, this is one of the products I used to love from FCS but for some reason my skin has reacted with the whipped creams recently. I have tried this one though and even on my skin and warmed up I still don’t smell anything. The scent is supposed to be apple pie with cinnamon, nutmeg and brown sugar topped with marshmallow fluff so I expected to love this as apple pie scents are often my favourites in autumn collections but there’s nothing but the base in my pot. 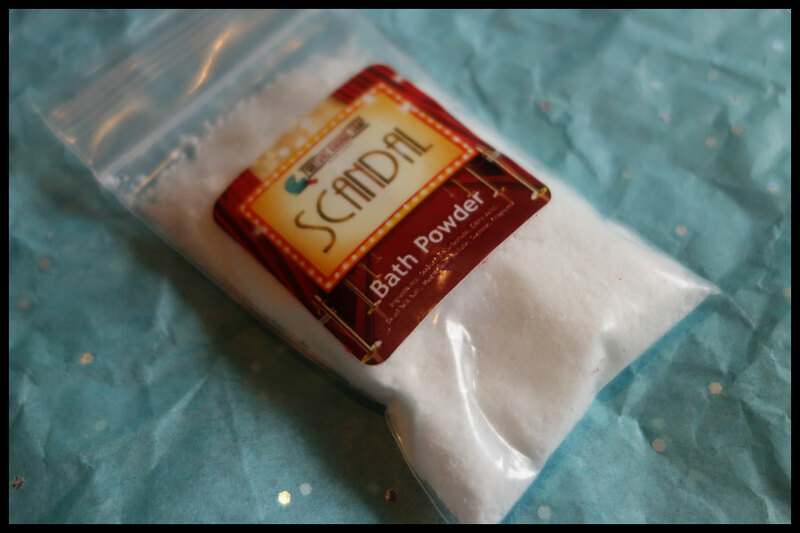 Scandal bath powder is a new kind of product, at least to me and I don’t think it’s been in the permanent collection on the website before. It was a nice size sample and worked well for a big full bath. I don’t tend to go for powders and prefer single use bath products but I might be tempted with this one. This is supposed to smell of woods, leaves and rose thorns though I’m not sure what rose thorns actually smell of. 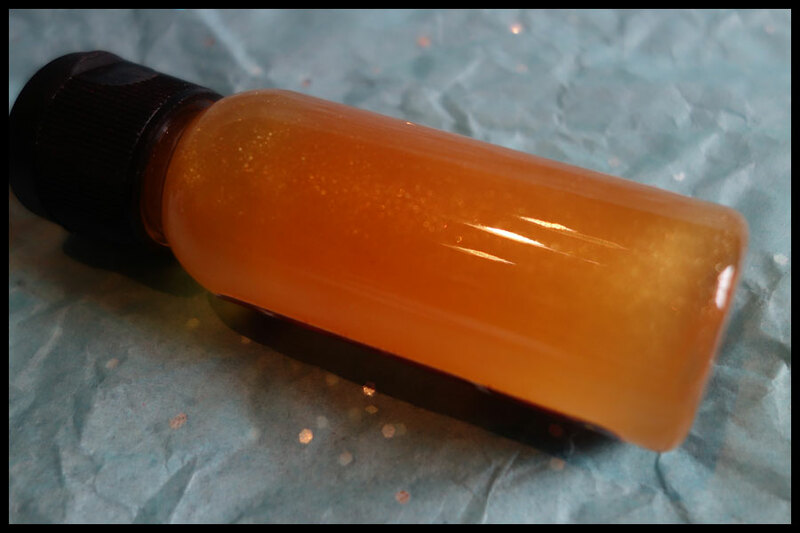 This is more how I expected glitz and glamour to smell like, it’s a nice autumn outside and a plant based scent, like when leaves have been sitting around for a while and start to get a big soggy in piles. There is a hint of something like mulled wine to me which is a bit odd as it’s not mentioned and I don’t get anything rose like. Another nice autumn scent which is a bit different to just plain leaves like you get a lot, it’s one that’s very hard to describe and I keep smelling it to see what else I can pick out. 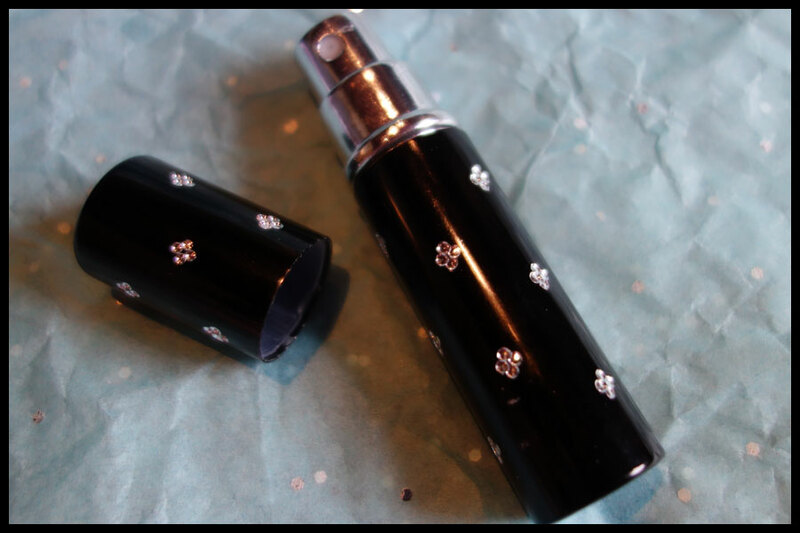 Pearls & Girls perfume oil comes in the prettiest container I think I have ever got from a trial box. I love this, and I’m glad I got the black as it looks like there’s a silver too and this is just more me. You can pull the spray out of the black outer package if you want, though I only just noticed this. Inside is a standard glass vial with the spray top, I’m not sure how much it holds but I might try the outer casing on another vial thing I have. The scent of this is distilled vanilla with wild jasmine and pear, which seems an unusual combination and not one I thought I’d like reading the description because of the jasmine which normally overpowers others on my skin but this is so nice. It’s definitely a perfume smell, it’s a sweet floral with a hint of fruit though I couldn’t pick any of these out individually. It’s an odd scent which starts out more floral then turns into the sweet fruity smell on me. It’s a really nice scent for a perfume or body cream but I don’t think I’d want it as something to soak in or wash with. 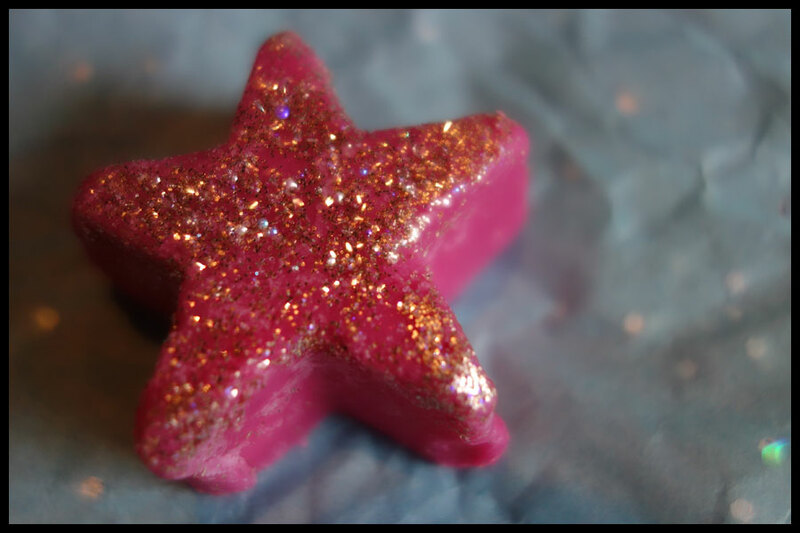 Hollywood Dreams shampoo bar is a pretty standard autumn scent to me. It’s very much as it says in the description with brown sugar graham crackers, apple butter (not sure what that is), nuts and maples. I don’t get anything apple but the rest is definitely in there. 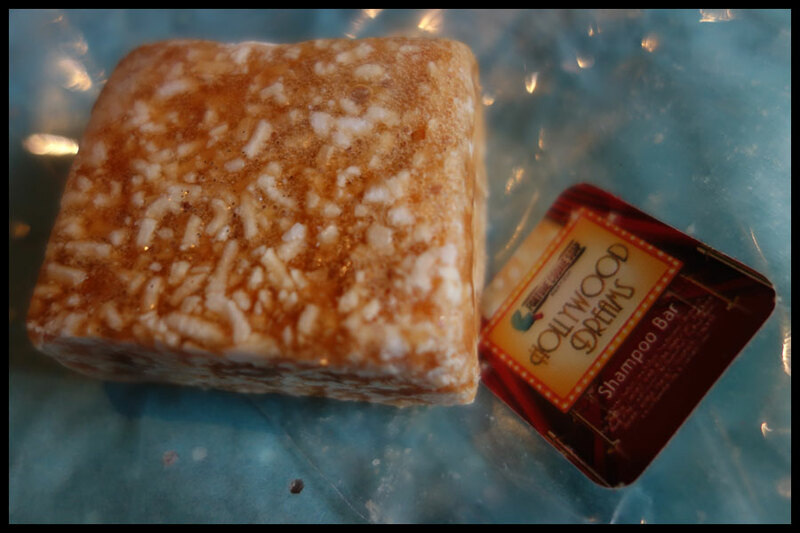 It’s a sweet buttery, syrupy, bakery scent to me so if you like those then this is a good one for you to try. They aren’t my favourite but this is useable for me. I do like the solid shampoos, they last well and lather pretty well though less than a liquid. I have found I ended up cutting the outer edges off my full sized one in the past as they went a bit harder and it wouldn’t lather. 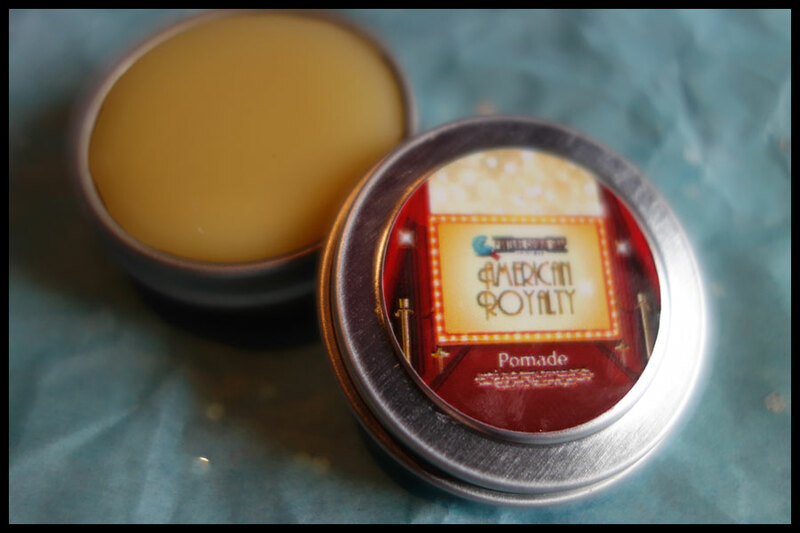 American Royalty pomade is another new product type for Fortune Cookie Soaps, at least I think it is and I can’t find any other products in this on their website at the moment. It’s a nice scent which it says is rose milk, thick honey, tobacco blossom with caramel and mandarin. I think the main scent I get is probably the tobacco blossom as it’s not a scent I know and it makes it a pretty unisex scent to me. I think I also get a bit of honey and caramel but I’m not sure and no mandarin to me. As a hair product it’s nice, my hair is short at the moment and probably the perfect time to try this out. I did have to use the back of my fingernail to get it out, a spatula would work but I was impatient and I don’t carry a mini spatula with me, this would be a good handbag size of the product. I used it and it did keep my strong hair fairly well tamed and no greasy or crunchy look which often happens with hair products. I also got wafts of this as I wandered around and mum commented on how nice it smells, I might be getting a full size in this one. Famous wax tart is supposed to smell of amber, wild orchid, white cotton and sundried herbs. It’s definitely light and powdery and I think I get the orchid and cotton, maybe a hint of amber that makes it a bit warmer but it’s definitely not the main scent like I expected. When I melted this it stayed pretty much the same, if anything the orchid became more obvious and the powderiness sort of faded a bit into the background. I’m not sure what the herbs they used are but I didn’t pick any out. This is a nice scent, I think it’d work well as a perfume or lotion as well, something that you leave on your skin as it’s very feminine and pretty to me. Overall I do quite like most of the products in the box. They have the fairly standard autumn bases of leaves, mulled wine, amber, melted marshmallow bakery kind of smells but have extra layers in most of them that add something a bit different. Though this does also make them a bit harder to describe and categorise into one scent thing like fruity or bakery for a lot of them, I’d just go with a general autumn category apart from ‘Famous’ and ‘Pearls and Girls’. I’m not sure how these fit into the old Hollywood theme apart from the names and the tobacco blossom in ‘American Royalty’, I’d have expected more florals and perfumey scents but these are nice autumn smells, it’s a bit weird smelling them in the middle of summer! If you like the general autumn smells then this range would be one for you to look at. I think if the Tommy Guns & Baseball Bats had more scent I’d be buying some things in that as apple pie is a favourite of mine despite not being a fan of bakery smells. I might make a small order but there’s nothing in here that’s stood out for me and I should probably be using up the things I already have. Autumn scents with the bakery based and woody scents are often not my favourites but the mulled wine and unusual combinations of this one do make this one stand out a bit. I think the stand out scents to me are ‘Dressed to Kill’, ‘Pearls & Girls’ and ‘American Royalty’ which all do make me consider at least a small order. This collection will be released on the Fortune Cookie Soap website at 6PM CST onFriday, August 21st so next Friday. I think the UK that is some time in the middle of the night but if you really want any of these then it might be worth waiting up as they’re often sold out pretty quickly in some items and it can be a bit of a waiting game and then jumping in when the different things you want come back in stock. These collections do have some good scents with layers. They have a good range of permanent products too and I think there’s some of the last collection of Peter Pan still up.